Static Wrinkles - Dynamic Wrinkles - Pigmentation - Scars - Vascular conditions - Loss of Skin Tone. My Face Aesthetics Clinic have a great range of skincare products - cosmetic products and 'cosmeceuticals' the latter are phamaceutical grade skincare prescription products ( these products contain ingredients that have cosmetic benefits for your skin at phamaceutical grade levels and actually have an impact on the dermis opposed to most high street brands that contain such tiny amounts that it has no effect on your skin at all. - these powerful product ingredients are so strong some require a thorough consultation (free) and are prescription skincare products. My Face Aesthetics Clinic has simplify the choice with a a select range of cosmeceuticals, Ultraceuticals and skin care cosmetics which are effective, used in our own clinic and deliver great results at an excellent price point. Clinicaly proven products, most containing pharmaceutical amounts of ingredients opposed to the many high street big brands which actually and usually contain much smaller loads of key ingredients. Our products can not be purchased on the high street, these are products available only to aesthetic clinics and professional spa's. My Face Aesthetics Clinic are authorised resellers of Balda, Jean Klebert (Italy) skincareproducts. The eye area - ageing and the eye brightness area, as we age wrinkles and lines appear giving your look a heavy and tired tone, your skin becomes thinner, more sensitive and reactive other factors undermine the brightness of this area - bags and dark circles, with their bluish/grey colour - make your eye expression heavier and your "sunken", and eyelids lose elasicity and become droopy, inexorably aging your gaze. 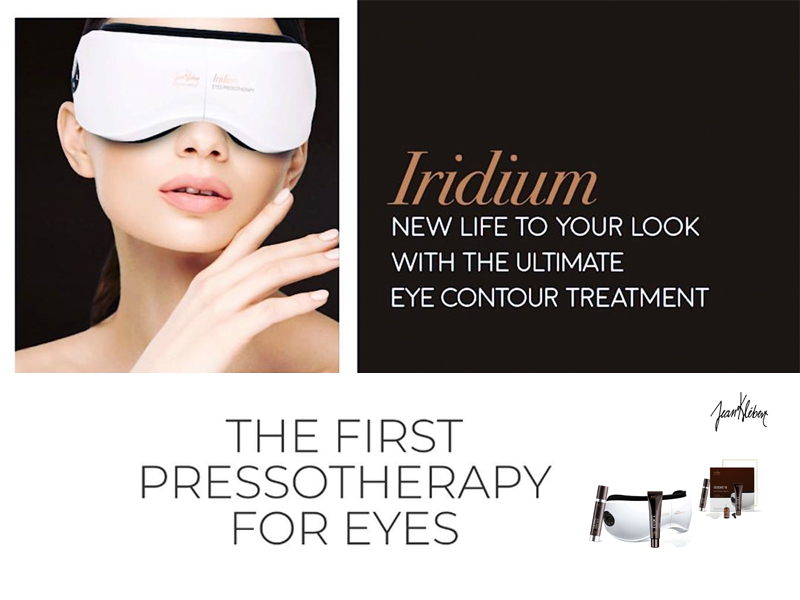 Iridium is a specific programme for eye contour treatment, able to contour, prevent and remedy the ageing process of the eye contour Iridium is a real-aging strategy that acts directly on ALL the eye contour factors. Visit the Iridum page for information. No Downtown - Painless and very effective - (The staff love Iridium) cost effective and fast. My face Aesthetics Clinic we We work alongside one of the worlds leading medical laser companies' Cutera. The multi- application platform we have enables us to treat a broad range of aesthetic and medical conditions covering virtually any skin type and body location, from large body areas to delicate facial details. Contact cooling reduces discomfort and downtime. 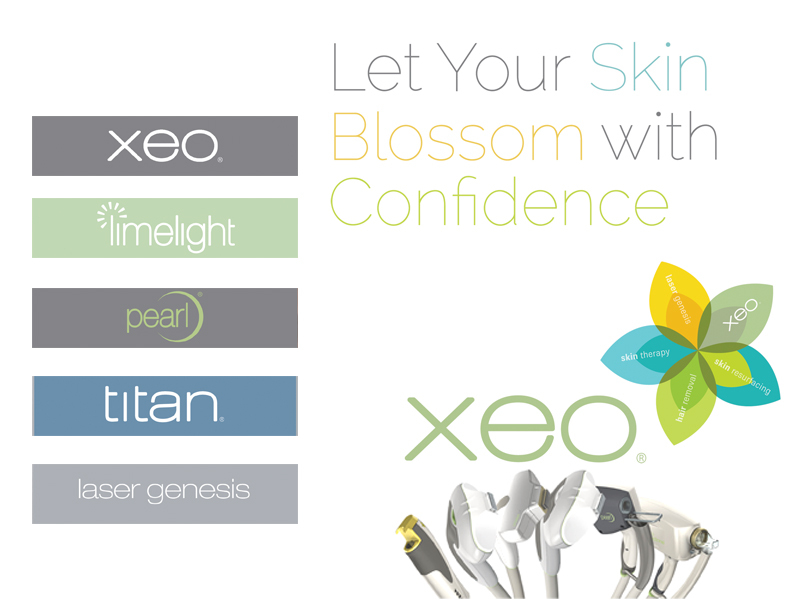 Three light technologys and OVER 20 treatment options the XEO is the most advanced laser for skin treatment including Laser hair removal, rosacea, vascular veins, acne scars, skin tightening, wrinkles and skin Genesis, (see LASER information clinic pages ) The clinic uses Bolton's and the northwest's only Cutera Xeo laser, a more technology advanced laser than found in most clinics outside London. Delivering dramatic improvement in tissue quality, even in challenging areas, and is complementary to other aesthetic treatments and dermal filler procedures. It is considered to be safe, effective and ‘a true breakthrough’ in anti-ageing medicines. 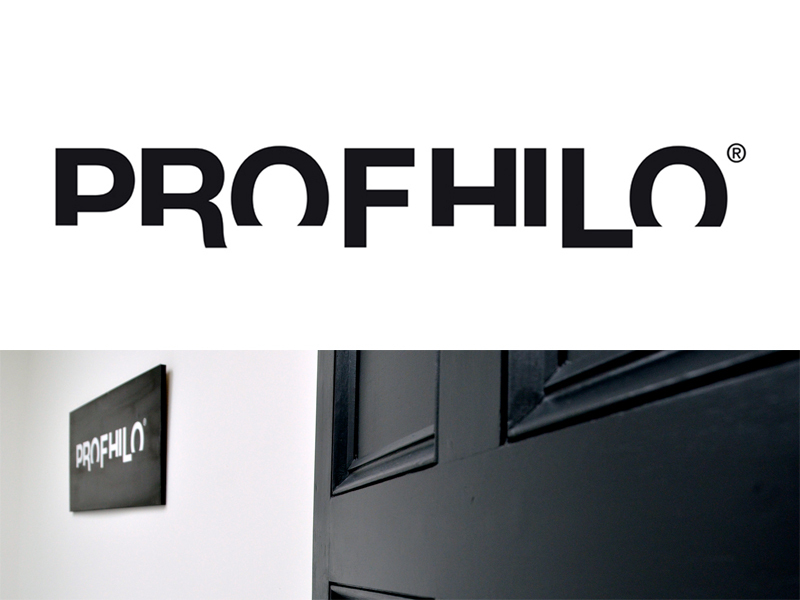 Profhilo is an EXCLUSIVE skin remodelling treatment that will give you visible results in just 2 visits. This revolutionary NEW treatment to rival dermal fillers takes just 10 minutes, with 5 injection points into your area of concern. It stimulates 4 different types of collagen and elastin due to the slow release of hyaluronic acid, and it is this stimulation that results in significant improvement of tissue quality - AWARD WINNING AESTHETIC PRODUCT for more information on Profhilo re-modeling skin rejuvenation visit. 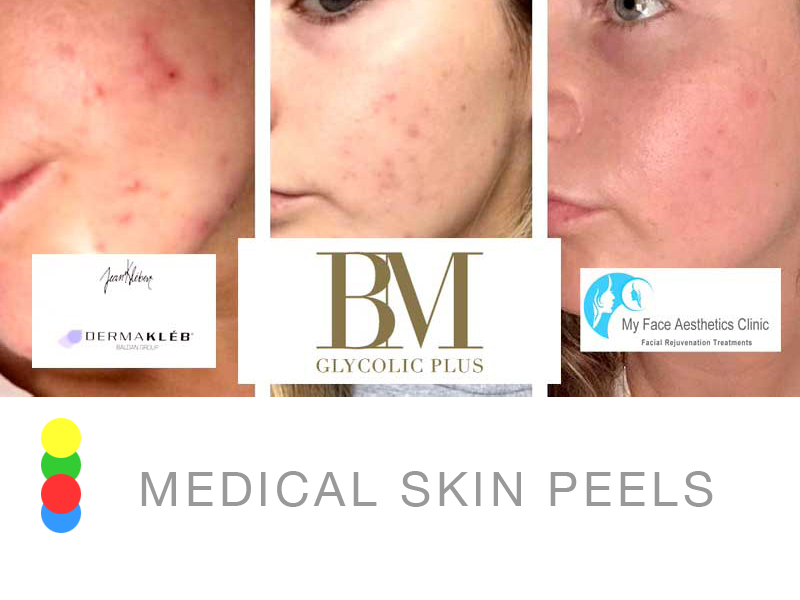 Glycolic Skin Peels. From acne and sun damage to fine lines and wrinkles, Glycolic skin peels are a suitable treatment for a range of age-related conditions. The peel contains Glycolic acid, which, when applied to the face, reveals a younger and fresher layer of skin beneath.